It is a long weekend here and I’ve spent the past two days trying to convince myself to sit down and write this post. That proved an impossible task on Saturday and Sunday, both beautiful days, but today it is raining, offering me the perfect opportunity to come inside and write. 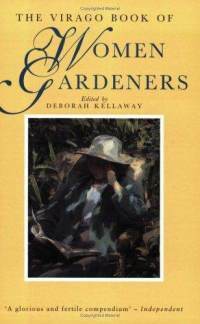 And The Virago Book of Women Gardeners edited by Deborah Kellaway is the perfect book to write about this weekend, since everywhere I’ve looked the past few days I’ve seen people energetically doing battle in their gardens, getting them ready for summer. The Virago Book of Women Gardeners is a compendium of garden writing by women from the 17th Century to the end of the 20th. Some of the women were gardeners first and foremost (Rosemary Verey, Gertrude Jekyll, Margery Fish), others were writers who dabbled in their gardens (Sylvia Plath, Edith Wharton, Colette), and a number were people who I had never heard of before. Together, their writings form a delightful, fun, and inspiring book. It made me dream desperately of gardens I will never have and encouraged me to do the best for the meager garden I do enjoy. Kellaway divides the book into thematic sections, a technique that works very well given how broad the book’s focus is. I enjoyed all the sections (except, perhaps, for the section on “Flower Arrangers”, who do not belong among gardeners, in my opinion) but I had my favourites. These were: “Visitors and Travellers”, “Advisers and Designers”, “Colourists”, and “Townswomen”. And I had my favourite writers, too. 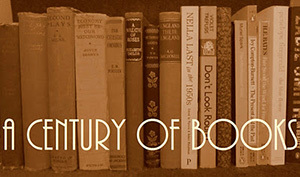 While some of the authors only had one excerpt in the book, others appeared time and again. These were generally exactly who you would expect them to be: Ursula Buchan, Anna Pavord, Vita Sackville-West, Rosemary Verey, Elizabeth von Arnim and, of course, Gertrude Jekyll. Jekyll’s writing feels so fresh and engaging, so modern and relaxed, that it is almost jarring to realise how long ago she was writing. One of the other delights of this book was being introduces to one of Jekyll’s neighbours and contemporaries, Mrs. C.W. Earle. Mrs. Earle wrote a number of bestselling books, starting in 1897 with Pot Pourri from a Surrey Garden, that were largely about gardening but appear to have wandered on to whatever topic struck their author’s fancy. I came away from this book with a long list of other books to read – Mrs Earle’s books are at the very top. On first going into a garden one knows by instinct, as a hound scents the fox, if it is going to be interesting or not. Weeds have a particular fascination for us. They are endlessly interesting, like an enemy who occupies our thoughts and schemes so much more than any friend and who (though we would never admit it) we should miss if he suddenly moved away. I know the weeds in my garden better than most of my flowers and, without them, my victories would be insipid affairs. Weeds provide the challenge that most gardeners require. They may sometimes appear to us as ineradicable as Original Sin, but we would be sorry to have to admit that, like sin, we were not conscious of a strong urge to overcome them. 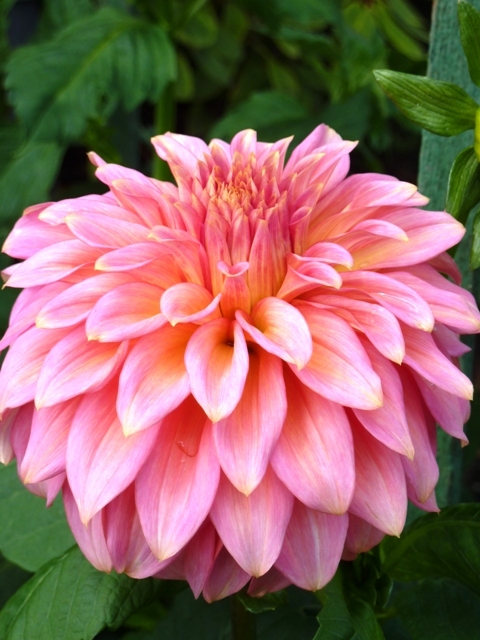 …the Dahlia’s first duty in life is to flaunt and to swagger and to carry gorgeous blooms well above its leaves, and on no account to hang its head. Why should fast growth automatically be an advantage, I wonder? Instant gardening is no more satisfying to the soul than thirty-second snatches of Mozart, condensed novels, or fast food. 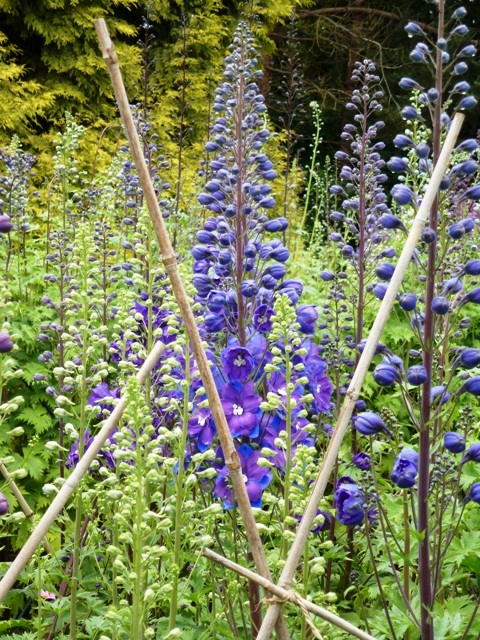 Half the interest of a garden is the constant exercise of the imagination. You are always living three, or indeed six, months hence. I believe that people entirely devoid of imagination never can be really good gardeners. To be content with the present, and not striving about the future, is fatal. Lovely! I have this somewhere and will dig it out on the next sunny weekend! The other gardening Earle I have been wanting to read is Alice Morse Earl ‘Comfort Me With Apples’, etc. I love the last quote you put in from Mrs. C.W. Earle; I believe enthusiastic gardeners live longer for this reason…they are always looking hopefully into the future…there is always something exciting or beautiful about to bloom on the horizon. I’m not familiar with that Earle but I hope you enjoy her writing as much as I did this book! This looks like a wonderful book! I’m disgusted that our library doesn’t have it. 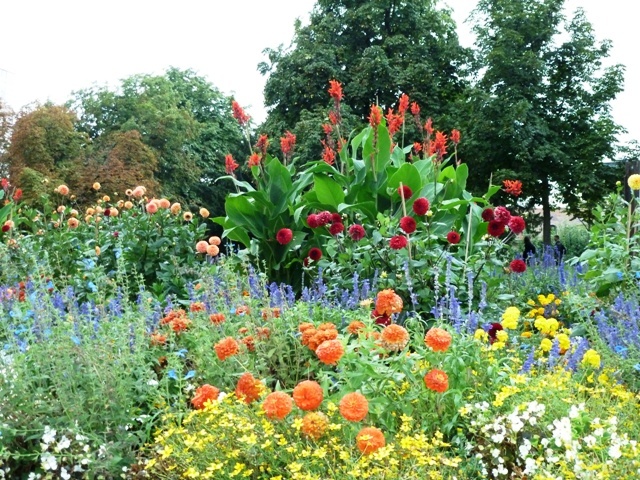 And the photographs of flowers and gardens are gorgeous! Did you take them? Very sad that your library doesn’t have this. Maybe you can get it by inter-library loan? And yes, the photos are all my own. You have to! You’ll love it. I do love Virago anthologies – especially the food and Christmas ones – and this sounds lovely. Clearly I need to track down a copy. I’ve never read any of their anthologies before but this was a wonderful introduction! An enticing, review, Claire – and a book I must have. Yes, I must! You simply must, I agree! Claire, this book sounds wonderful. 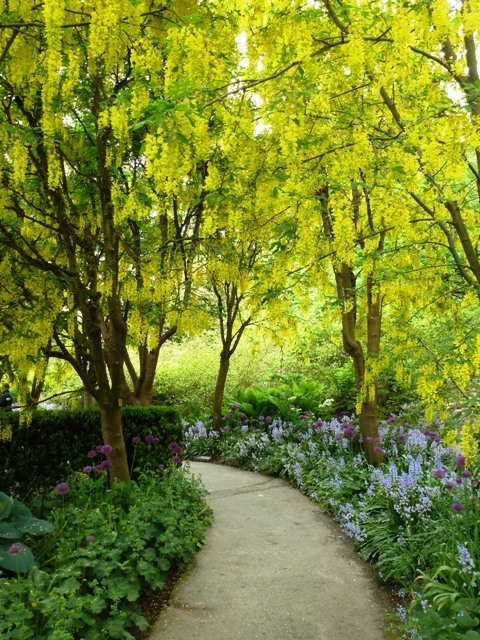 It is a topic I am very interested in: the women who created remarkable gardens. Thanks for letting us know. I will try to get a copy. re Angela Thirkell, have you tried Book Depository? Thanks for posting this, Claire. I first came across the title ages ago, and couldn’t figure out if it was worth chasing up. You’ve convinced me. I’m going to start chasing it up. Very worth chasing up! Enjoy. 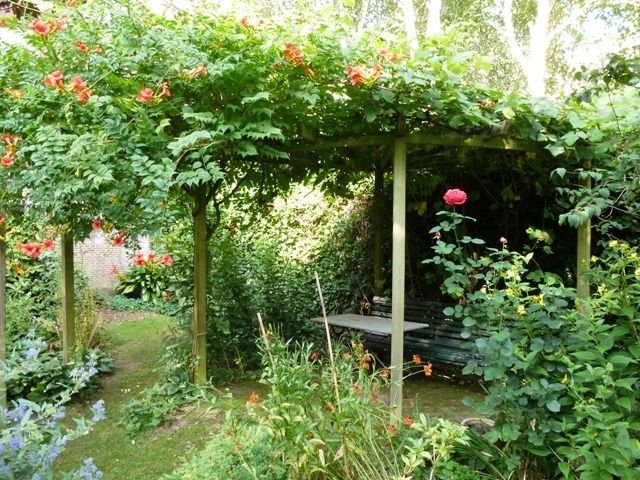 This sounds lovely … and just to let you know that a follow up to his book on The Laskett by Sir Roy Strong has just been published: Remaking the Garden – the Laskett Transformed by Roy Strong. PS I hae Virago’s shopping anthology which is great fun. Thank you so much for letting me know about the new Laskett book, Margaret. Very exciting news! A lovely sounding book. I am not at all surprised to hear Elizabeth Von Arnim is included, I am meant to read her Elizabeth and her German garden for a long time. Oh, I hope you read Elizabeth and Her German Garden soon, Ali. It is one of my very favourite books.